As dramatic changes in society are redefining the role of communication in organizational leadership across civil industry in the democratized world, a similar topic of professionalism is inspiring new conversations among U.S. military leaders. Public affairs officers and military researchers have identified challenges that complicate the best use of communication talent in the military. Insufficient training, how and where many public affairs officers are placed within unit organizational staffs, and unit cultures have historically marginalized the career field, inhibiting the inculcation of a professional ethos across the public affairs community. At top global companies, the chief communication officer, who serves as an advocate between the chief executive officer (CEO) and the public, works as a key leader in the C-Suite, where senior executives of the company serve. As a point of comparison, this prominence is reflected in joint doctrine, which states that public affairs officers—the nominal military equivalent of the corporate chief communication officer—are part of the “commander’s personal staff,” which serves as the military version of the C-Suite. Despite the doctrine, many public affairs officers must fight for a seat at the leadership table among other members of the staff. There are a variety of reasons why many senior leaders do not demonstrate belief that public affairs provides strategic value. One could be that public affairs planning often fails to connect individual unit stories to their roles in national strategy. 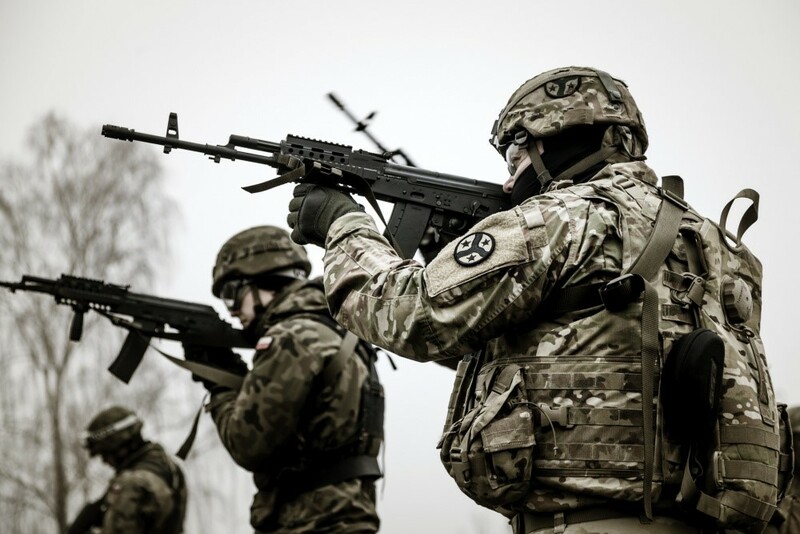 A U.S. Army Public Affairs Officer, William Leasure, recently stated, “Our focus as public affairs officers often centers around narratives of readiness and lethality. While important, these messages often resonate far less with the average American than the personal stories of our service members and their families.” Leaders can use these stories, of how service members and units at a micro level are a part of strategy at the macro level, to help bridge the growing civil-military divide. Planning and implementing communication efforts specific to a small or mid-sized unit’s mission is effective for connecting with audiences that are geographically local to the home installation, and should remain a top priority for military leaders. However, every military unit ultimately exists to support a national strategy, often within a global context. Communication leaders must expand the narrative to explain how individual units help fulfill the U.S. national security framework. Doing so demonstrates a higher value of individual units to their local communities, increases mission commitment among troops to know that their jobs matter to the nation, and reminds citizens of the value that their armed forces provides. The next member of the military chain of command, the Secretary of Defense, is responsible for writing the National Defense Strategy (NDS) and describing the defense department’s role in supporting the National Security Strategy. The National Defense Strategy organizes Department of Defense efforts into priorities that are specified in U.S. Code, Title 10. Among these tasks are for the Defense Department to maintain “combat-credible” forces to “deter war and protect the security” of the United States. These tasks shape how the U.S. Defense Department allocates resources globally. The National Defense Strategy guides military theater strategies and mission planning down to the lowest units across the force. An Army National Guard unit from Tennessee provides a timely example. Elements of the Tennessee National Guard’s 278th Armored Cavalry Regiment recently deployed to Ukraine and Poland as part of the North Atlantic Treaty Organization’s (NATO’s) Enhanced Forward Presence mission. The enhanced forward presence mission rotates battle groups from the United States, Canada, Germany, and the United Kingdom to enhance the defensive capacities of Estonia, Latvia, Lithuania, and Poland in the face of an aggressive Russia. According to Tennessee National Guard Adjutant General Terry Haston, the 278th’s mission is the largest deployment of heavy forces to this region of Europe in nearly 30 years. This National Guard deployment supports the U.S. national security objective of “preserving peace through strength,” which includes deterring adversaries and building capability to fight and win against nations that are hostile to U.S. interests. Elements of the 278th Armored Cavalry Regiment intend to play a key role in building that capability to fight by helping Ukrainian armed forces to increase capacity at the Yavoriv Combat Training Center with the goal of eventually training battalion and brigade-sized units for large-scale combat operations. Engagement in NATO missions, like Enhanced Forward Presence, allows the U.S. government to work toward American security objectives with the expertise and international legitimacy that come with multinational security operations. As part of the Enhanced Forward Presence mission, the 2nd Squadron, 278th Armored Cavalry Regiment is not simply running the Battle Group Poland headquarters; it is supporting a security objective that traces its roots to the U.S. National Security Strategy: “defending allies from military aggression and bolstering partners against coercion.” These efforts support the national security priorities of preserving peace through strength and advancing American influence, outlined in both the 2017 National Security Strategy and the 2018 National Defense Strategy. Strategic connections exist for every military operation. Leaders who can recognize and communicate those links across their organizations can inspire commitment-based cultures, where subordinates feel a greater connection to their work, knowing that it plays a role in a bigger picture. Commander of the 2nd Squadron, 278th Armored Cavalry Regiment, Lieutenant Colonel Donny Hebel cited the strategic connection, saying the regiment’s deployment “strengthens the defensive capability within Poland…and is evidence of continued U.S. commitment to NATO.” Shared mission understanding across the organization is also a tool for reducing risk. Individuals who do not understand the purpose of their work are more likely to make statements that can hurt their organizations. In 2010, another National Guard unit prioritized communicating its mission connection to the 2010 National Security Strategy objective of using all elements of national power to defeat Al Quada when the Iowa National Guard’s 2nd Brigade Combat Team, 34th Infantry deployed to Afghanistan. Public affairs materials produced during the mission to clear the countryside of insurgent fighters, hold terrain—partnered with Afghan security forces—and build infrastructure, commerce, and rule-of-law culminated in a book titled Reporting for Duty, adding to the historical record of U.S. National Guard units working in support of U.S. security strategy. Emerging generations want to be part of something meaningful. In turn, leaders must learn how to explain big-picture linkages to every member of the organization. There are countless examples across the U.S. global military apparatus of how individual units make a difference for the nation. For example, in 2013, the command team of the 4th Infantry Brigade Combat Team (Airborne), 25th Infantry Division formally presented the brigade’s role in fulfilling national strategy to the staff. The unit was one of the few fully-funded U.S. Army infantry brigade combat teams at the time, tasked to provide a rapid contingency response capability to the U.S. Indo-Pacific Command, in support of a U.S. security objective to address growing competition across the Indo-Pacific Rim. Then-Commander of the U.S. Indo-Pacific Command, Adm. Samuel J. Locklear III, told the House Armed Services Committee, “Our rebalance to the Pacific strategy has given us a new opportunity to begin to solve these challenges and re-emphasize to our allies and partners that we are a committed Pacific nation. It also reflects the recognition that the future prosperity of the U.S. will be defined largely by events and developments in the Indo-Asia-Pacific.” Brigade Commander Col. Matthew McFarlane echoed Locklear’s guidance in the unit’s mission statement: “On order, 4/25 IBCT (ABN) conducts decisive action, to include joint forcible entry, as an Army Contingency Response Force aligned with U.S. Pacific Command to promote security and development in the Asia-Pacific Region.” This mission translated into the “Big 5” leader development vision, focused on training paratroopers to work safely in regions varied from extremes of northern Arctic flatlands to south-Pacific jungle terrain. The visual clarity of mission and methods to achieve them unified staff action in aspiration to make the brigade the force of choice for rapid contingency, humanitarian assistance, and disaster relief across the U.S. Indo-Pacific Command’s region of responsibility. The public affairs office could easily align unit communication engagement with clearly-documented command intent. The mission slides became the standard opening to every meeting held at the brigade headquarters, making every leader across the organization into a communication ambassador. Leaders across the brigade understood every job in the unit played a role in national policy. This mission communication across the enterprise set a culture of understanding and engagement that earned global prominence for the Alaska-based unit. Beyond the Pacific focus, the 4th Brigade also trained as one of only two Arctic-focused brigades in the U.S. Army. The higher headquarters, U.S. Army Alaska, aggressively marketed that mission capability, noting that U.S. Army Alaska’s brigades are the only units in the Army ready for extreme cold weather operations in the Arctic. In 2015 the brigade parachuted a task force of approximately 400 paratroopers onto Alaska’s north slope to demonstrate the U.S. Army’s capability to conduct forced entry into Arctic conditions. The Russian Army soon responded through the Russia Today network with video of Russian paratroopers landing on a drifting ice flow near the north pole. A strategically-focused communication plan, with command support, expanded a military training story from Alaska to communicate how the command validated “soldier mobility across frozen terrain, a key fundamental of U.S. Army Alaska’s capacity as the Army’s northernmost command” to a worldwide audience. It is common practice to organize communication efforts around brands associated with mascots, cultural figures or historical events. Some of the more well-known examples of this include “Rock of the Marne” for the U.S. Army’s 3rd Infantry Division, a motto earned in battle against German forces at the Marne River during World War II, and “Screaming Eagles,” an identity formed in the 101st Airborne Division’s early days from its unit insignia. Unit brands based on figures and stories of lore provide a strong sense of connection and esprit de corps. Adding the strategic connection to how a unit’s mission is communicated adds a richer depth of value. Communication is an art, not an either/or proposition. Leaders and public affairs officers must be deliberate in finding the right method of building unit pride through connections to the past and links to the future through a strategic view. Every mission carries historic potential. The 278th Armored Cavalry Regiment’s deployment to Poland and Ukraine demonstrates military mission planning, guided by the 2017 U.S. National Security Strategy, to bolster U.S. allies in the face of a resurgent Russia. The 278th’s connection to the national strategic framework propels a state-wide story about a Tennessee National Guard unit into a larger discussion at the national level. Military leaders must be able to clearly articulate why service members are called away to foreign lands. Understanding the role their troops fill in a national strategy better prepares leaders to answer those questions and demonstrate the value of every military unit on a grand scale. A global mindset is critical for modern communicators. Corporate Communication Officers know their organization’s place in the larger context, just as military planners must understand guidance from the mission of the next two higher headquarters. That broad understanding increases the communication officer’s value and influence. This kind of influence opened the door for General Electric’s Chief Communication Officer Gary Sheffer to accept an assignment from Chief Executive Officer Jeff Immelt to help remake the global corporation’s culture and to simplify the company. Sheffer rose to become a “full strategic partner on everything from culture to deal making to public policy.” David Albritton, a former Navy public affairs officer is the latest example of a communicator who learned how to lead at a strategic level. Working in communication for 25 years, Albritton became the Chief Executive Officer for General Motors Defense in December, 2018. Communication leaders who know how to think at the strategic level can shape their organizations’ culture and expand the reach of public engagement, further justifying modernization resourcing that military public affairs professionals need to compete in the modern information space. Unaware of their units’ connection to national strategy, military communicators are missing a critical opportunity to explain to an often disconnected public how a volunteer military is making a global difference for security abroad and at home. Whether demonstrating the ability to parachute a battalion task force into Arctic conditions or sending an infantry regiment to train with partner nations in Europe, every mission fills a role in national strategy. Leaders, whether commanders or public affairs officers, owe it to their soldiers and the citizens they serve to explain how their teams fit into the national effort. Public affairs practitioners who can recognize and tell that story will provide greater value to their organizations, not simply as public affairs officers, but as indispensable communication leaders. Chase Spears is a U.S. Army public affairs officer. The opinions expressed here are his own and do not reflect the official position of the U.S. Army, the Department of Defense, or the U.S. Government. Patrick R. Sieber. Are Army Public Affairs Officers trained and educated to meet the challenges of the Contemporary Information Environment?, master's thesis. MMAS Thesis, Fort Leavenworth: U.S. Army Command and General Staff College, 2008; Rumi Nielsen-Green. "Fighting the Information War but Losing Credibility." Military Review, 2011: 8-15; Mervin E. Brokke Jr. A Comparative Study of Job Burnout in Army Public Affairs Commissioned Officers and Department of the Army Civilians, master's thesis. Huntington: Marshall University, 1993. The corporate C-Suite is the traditional term for top level executive staff members who constitutes the organization’s guiding coalition. Members of the C-Suite typically hold positions including CFO (Chief Financial Officer), CIO (Chief Information Officer), COO (Chief Operations Officer). Leisure, B. 2019, william-leasure-98362580/, LinkedIn, viewed 5 Feb 2019, https://www.linkedin.com/feed/update/urn:li:activity:6495733224491282432/. 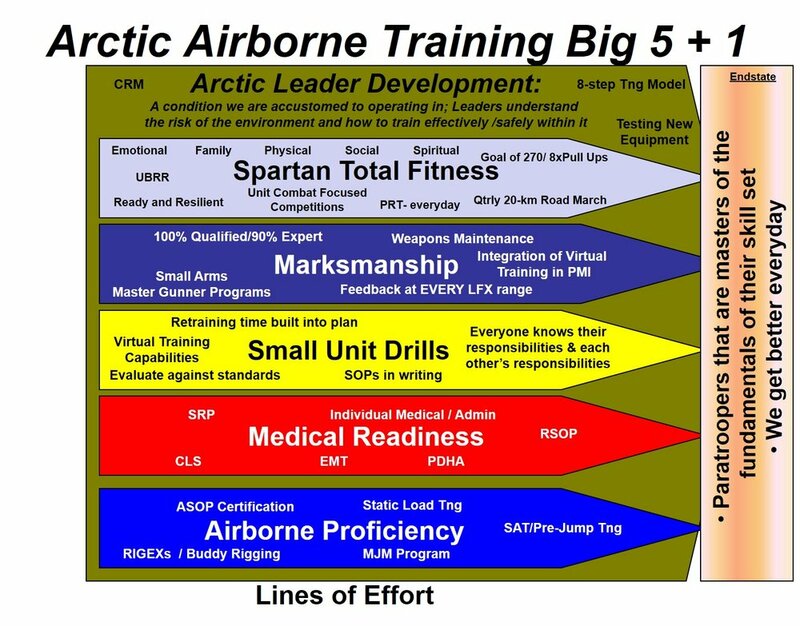 The “Big 5” Leader Development model for Arctic Leader Development at the 4th Brigade (Airborne), 25th Infantry Division in 2013 consisted of Total Unit Fitness, Rifle Marksmanship, Small Unit Training Drills, Medical Readiness (Deployability) and Airborne (Military Parachutist) Proficiency.